Listing courtesy of Jan Boeglin P.A. The information contained herein has been provided by MFRMLS. IDX information is provided exclusively for consumers' personal, non-commercial use, that it may not be used for any purpose other than to identify prospective properties consumers may be interested in purchasing, and that the data is deemed reliable but is not guaranteed accurate by the MLS. Listings last updated Apr 21, 2019 7:41:pm. Updated Apr 21, 2019 7:53:pm. 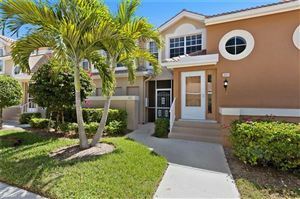 The data relating to real estate for sale displayed on this Website comes in part from the Multiple Listing Service of the Bonita Springs-Estero Association of REALTORS®, Inc. Properties displayed on this Website include properties listed with brokerage firms other than Realty World - Top Producers Realty, Inc.. Detailed information about such properties includes the name of the brokerage firm with which the seller has listed the property. The properties displayed may not be all the properties listed with brokerage firms participating in the Bonita Springs-Estero Association of REALTORS® Multiple Listing Service, or contained in the database compilation of the Bonita Springs-Estero Association of REALTORS® Multiple Listing Service. Listings last updated Apr 21, 2019 7:39:pm. Realty World - Top Producers Realty, Inc.